Then, in July, my mom and I and 5 other ladies went to Costume College in Los Angeles. You can read about our trip by clicking the link or the picture. In September, I portrayed Mrs Curti in a house built in the 1930's. I had to make myself a new outfit for that. A few days later, I took my mom's and my costumes up to Virginia City and dressed 19 Chinese beauty queens for a photo shoot. I needed something easy to move around in and that wouldn't trip me as I went up and down the stairs carrying costumes, etc. In October, I made my daughter a new Victorian dress because she went with my mom to an American Girl Tea. 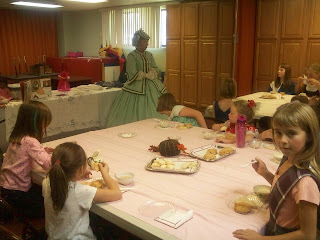 My mom did one of her talks for the girls at the tea. In October, I also started fund raising for our eventual adoption. 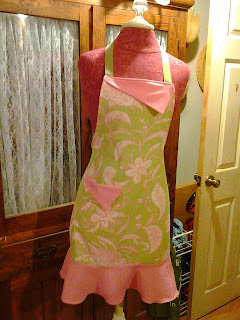 I made about 35 of these aprons in three months (along with countless jars of jams and jellies). 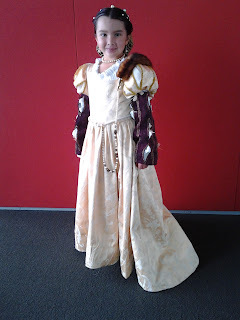 In November, my mom finished my daughter's new Renaissance outfit. This one is the Italian Renaissance, so loose skirts, not hooped. 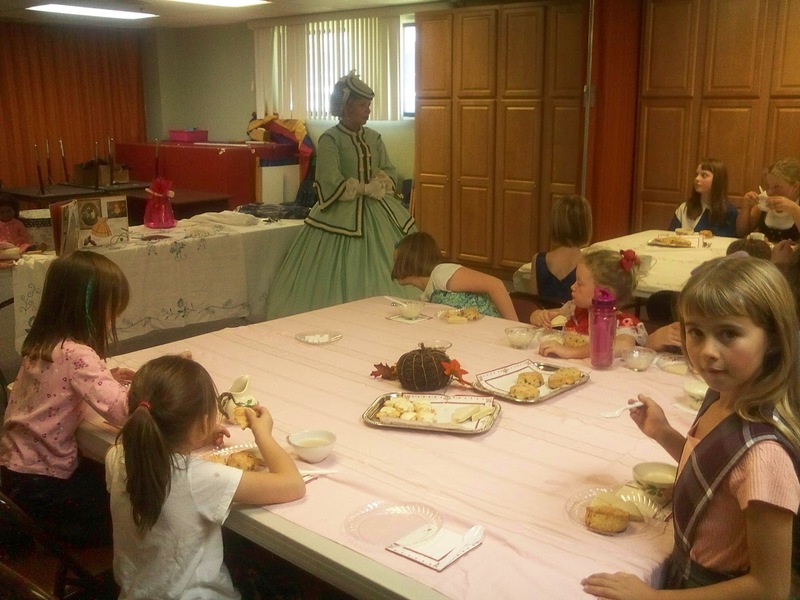 Mom was doing a talk on the fashions of the Italian Renaissance at the Nevada Museum of Art since we had Titian's La Bella or Woman in a Blue Dress at the museum for a couple of months. My little girl is growing up so fast! And that brings us up to the present! It was a fun year. I am hoping we'll have another baby to bring along with us on all our costuming adventures in 2012. Either way, though, it's gonna be a lot of fun! 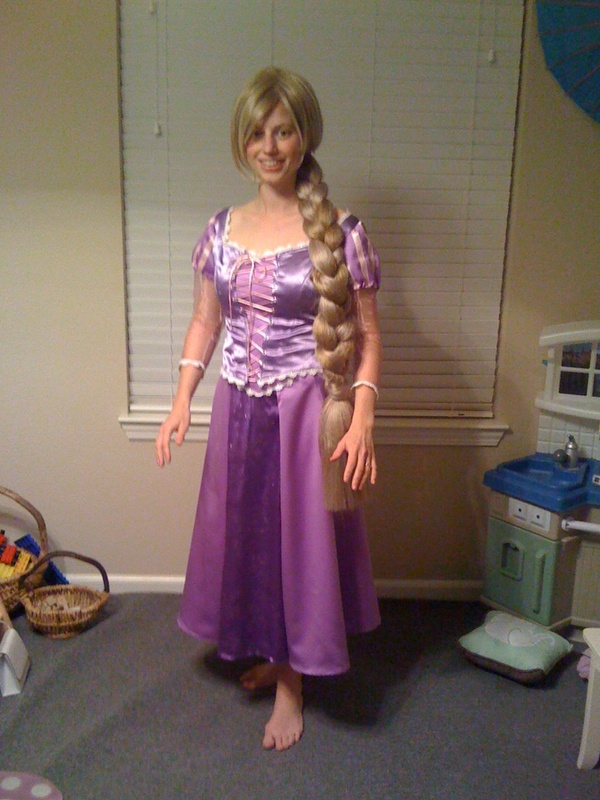 Just wanted to post this picture of my customer in the Rapunzel dress. 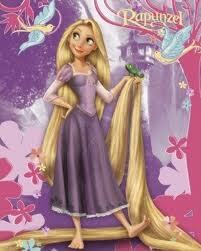 In this one she has her hair all done. She looks great. 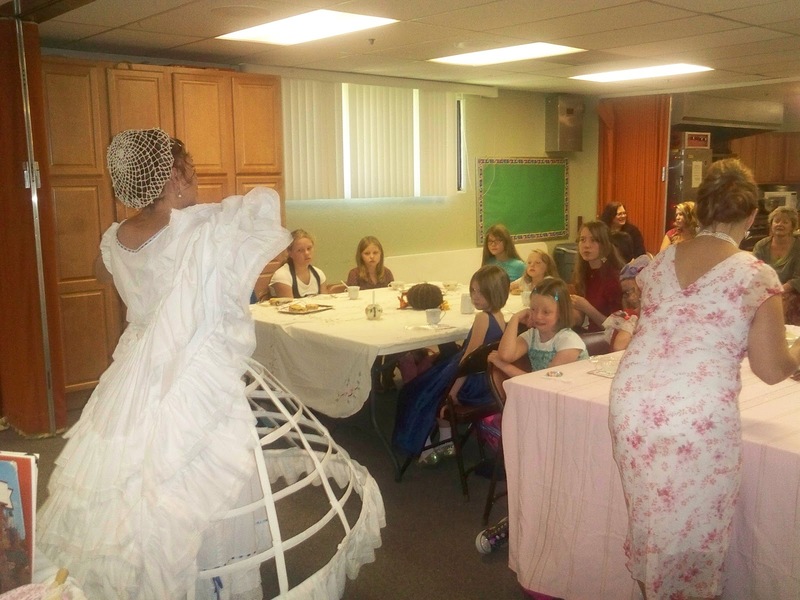 My mom, Lady Carolyn, did one of her shows on Sunday, March 20th as a benefit for Rainshadow Charter High School and the Great Basin Costume Society. 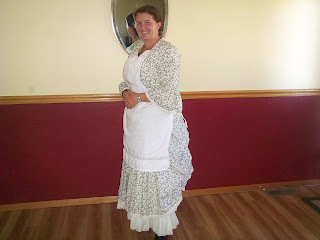 She did her Edwardian Lady Undressed show, and I really wanted to dress up to attend. Only problem is, the only Edwardian outfit I owned was a summer one, definitely NOT intended to wear in the middle of winter (and yes, here in Reno, March is still in winter!) So, I started rummaging around in my closet to see what I can find. 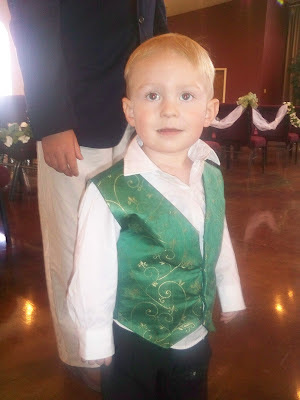 Below is the outfit I put together. 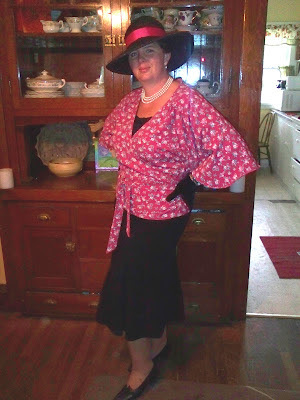 I had to make the skirt and decorate the hat, but otherwise I had everything else. 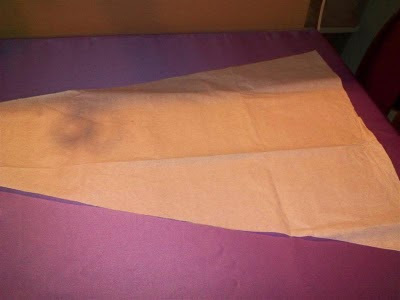 Oh, and the skirt was already half made, too! The jacket was a thrift store find. Score! And the parasol is an actual umbrella - great for that gray, drizzly day! As you can see, it also works without the jacket. 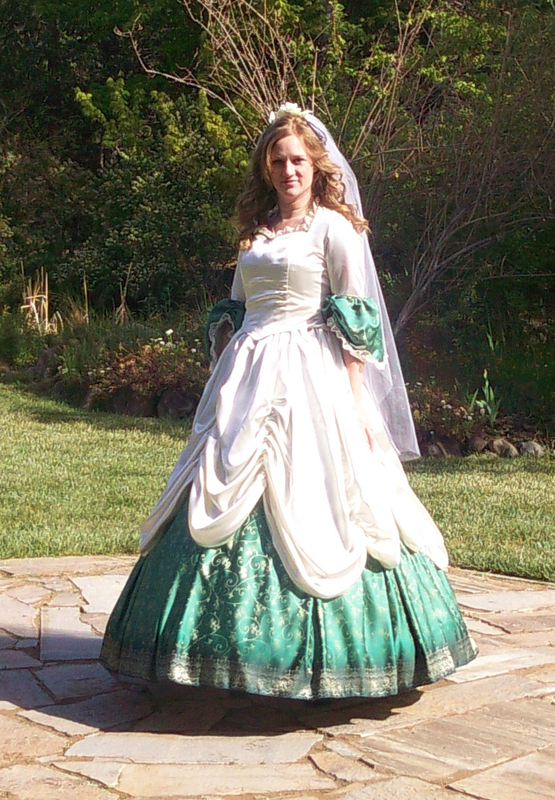 I wore my corset cover over my dark green corset just in case I got warm enough to take off the jacket. I never did take off the jacket, but I knew I COULD if I wanted to, and that's what counts in costuming! Of course, I wanted to dress up my daughter for the occasion as well, so with some more rummaging, I found this sweet little pink dress. It is from the 1930's but the style is very reminiscent of the earlier part of the century. 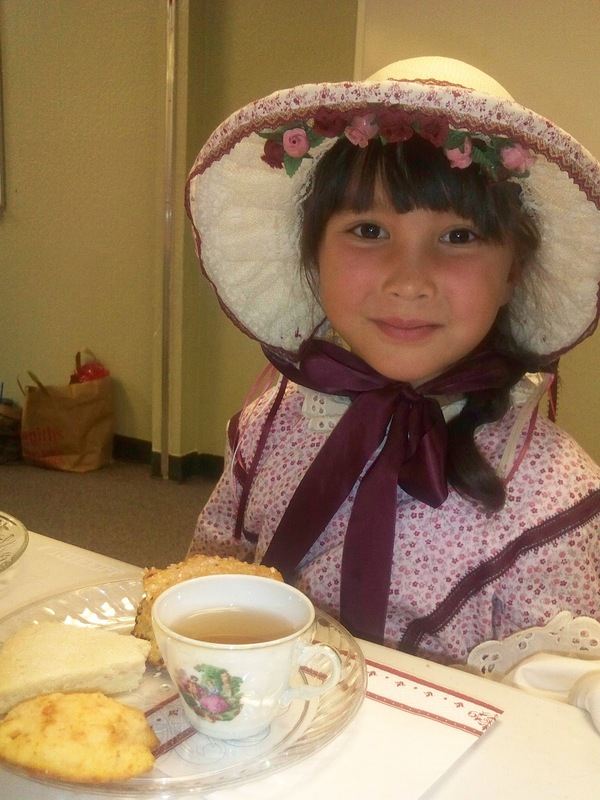 Indeed, little kids clothing did not change a whole lot till the 1940's or '50's. 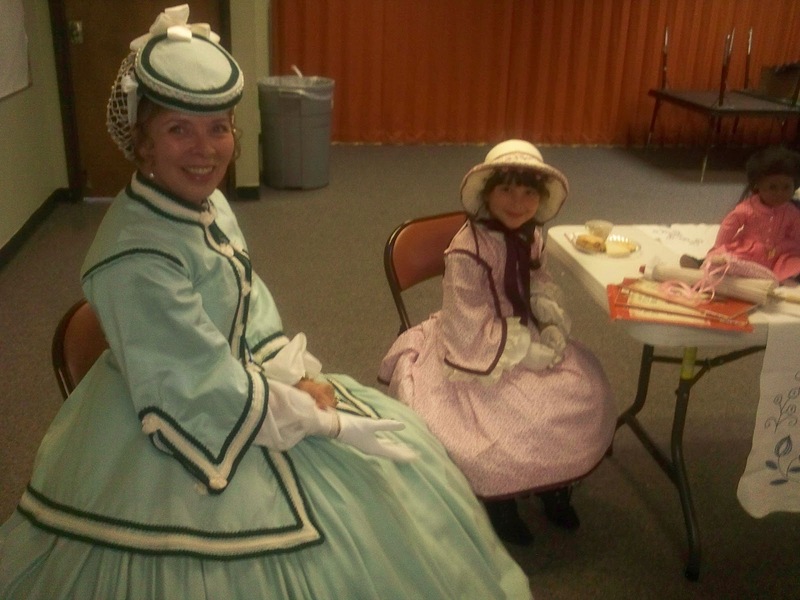 The shoes are not accurate for the time period, but it's all we had since she recently grew out of her period shoes. *sigh* I didn't really think through the fact that kids keep growing, even after you've gotten their outfit together perfectly! I'm lucky if she's gets a whole years worth of wearings out of each outfit I make her. The shoes are the hardest to get though. 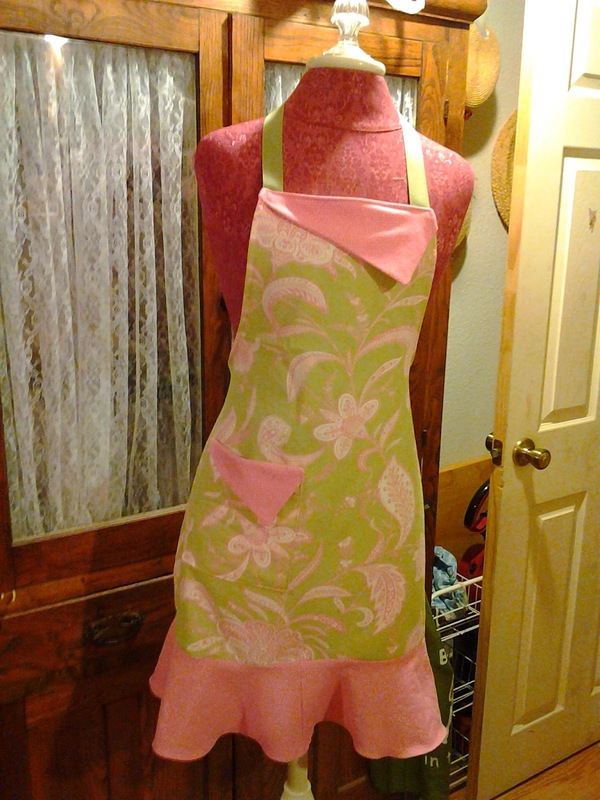 I can't just whip those up in my sewing room. Anyway, it was lots of fun. 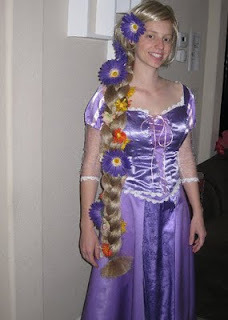 I finished the Rapunzel dress last week. The customer sent me a picture of her wearing it. From talking to her, it sounds like I may need to make some adjustments with the lower sleeves, but otherwise, it fits her great! I've been working on the Rapunzel dress. 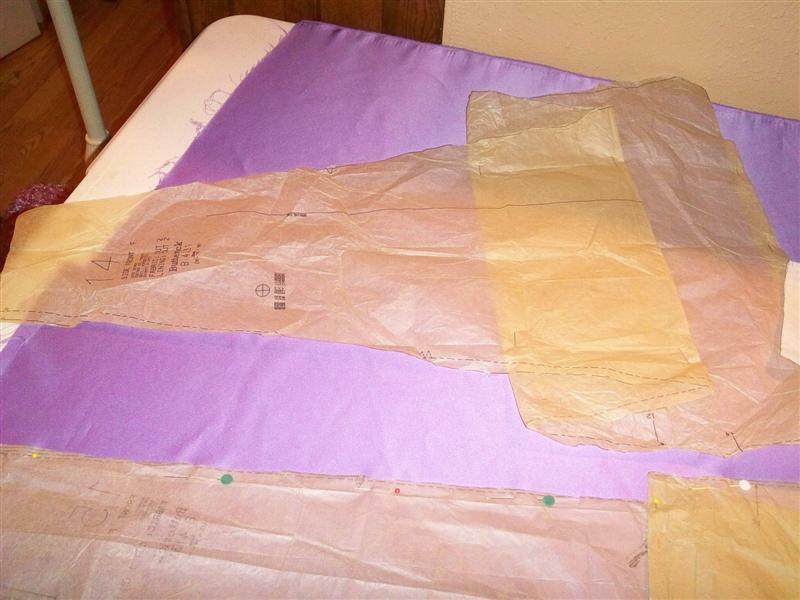 I have the bodice ready for the next fitting. And the skirt is pieced together, but does not have a waistband or hem yet. Below are some pictures of the progress so far. ...and used the pattern to make another pattern out of tissue paper. Here's the dress so far. The sleeve is not actually attached yet, it's just there to give an idea. Here's a picture of the alteration on the Cinderella dress. I added the placket behind the lacing, and the grommets. I also added a little skirt onto the bottom of the placket so that the slit at the bottom did not show off any unmentionables. 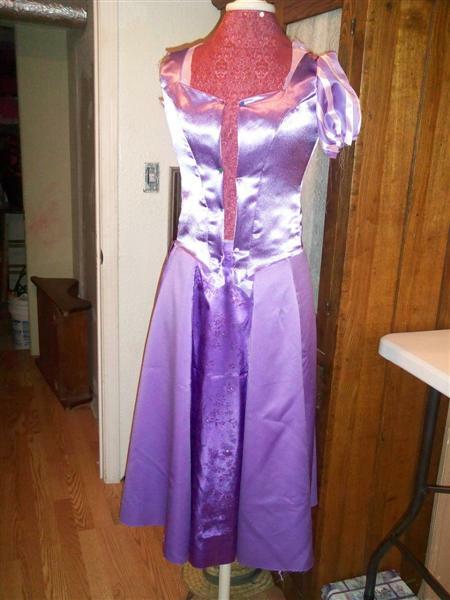 Not shown here is the hook and eye sewn onto the skirt of the dress to keep the slit closed. 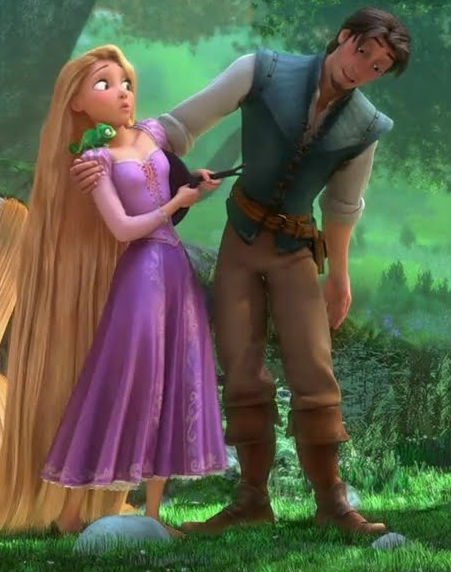 I can't wait to start actually sewing the Rapunzel dress. 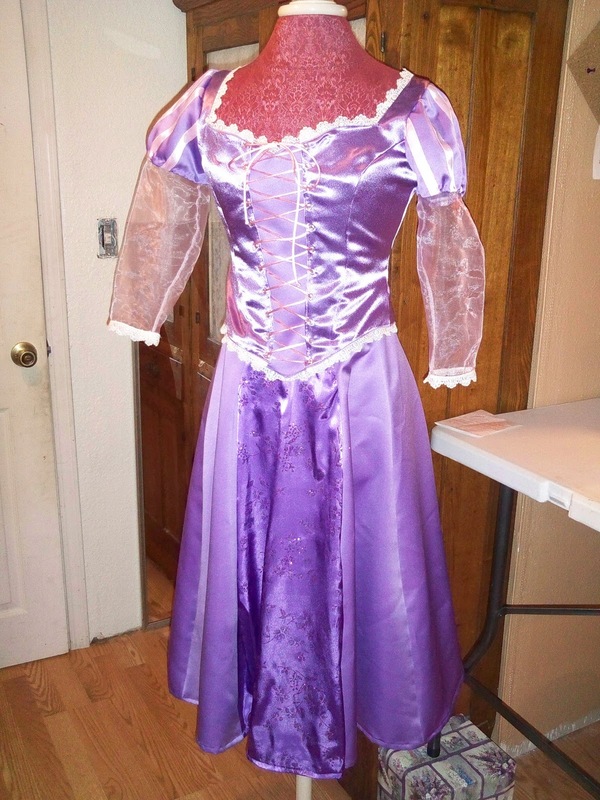 I've been commissioned to make a new dress. I'm really excited about this one. It's Rapunzel from Disney's new movie, Tangled. I love that it's a Disney Princess. But more than that, I love that it's PURPLE! I love purple. It's my favorite color. I'm soooo excited. 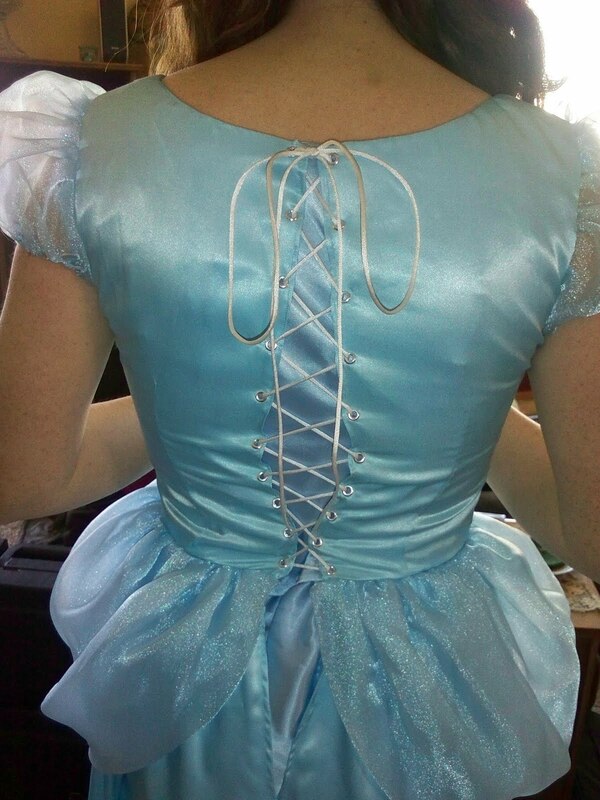 On a different note, I altered a Cinderella dress today for the same customer. It was a hand-me-down to her, but was too small. So, I removed the zipper and added a placket and 10 pairs of grommets. I hate grommets! But, with a pretty white lacing, it looks very nice. This customer is beginning to work for a birthday party company who specializes in Disney Princess appearances. I hope I'll get to create even more beautiful dresses for her. Anyway, you can click HERE or on the sidebar to the left to see updates from previous years. And since it is the most recent bit of "News" I will also include this link (or click the pic below) for our most recent event.